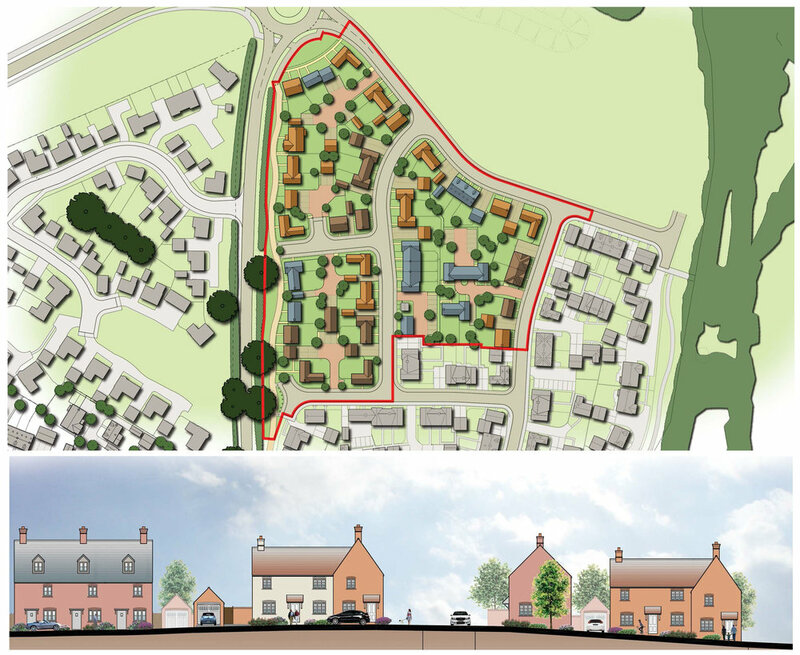 July 2017 - Reserved Matters Approval gained for 50 dwellings on the Brackley development in Northamptonshire on behalf of Taylor Wimpey. This Phase forms part of the Northern Gateway in to the overall development and enjoys views over the new Country Park. We worked closely with the local Authority to overcome the challenging topography of the area and designed a range of sympathetic house types to reflect the local vernacular. The scheme was unanimously Approved at committee.